Spying on Canadians opens with the goal of adding “to the political demands for a new commitment for a transparency in national security appropriate to our purportedly democratic society.” (9) It is a principled point. Describing the workings of access legislation that are shaped, in part, by a desire to maintain cordial relations between the Public Archives of Canada and the Canadian Security and Intelligence Service, Kealey details an often-frustrating process in which access requests are first delayed and then eventually produce heavily redacted documents of limited scholarly value. If there is a balance to be struck between access to information and protecting state interests, it seems that Canada has yet to establish and maintain that point of equilibrium. Containing an introductory essay and nine previously published articles and book chapters from 1988 to 2009, the collection concentrates on the Canadian state’s identification of potential security risks. This ranges from the Fenian brotherhood fighting for Irish independence in the 1860s, through East Asian nationalists pursuing India’s self-governance in the pre-World War I era, to Canadian left-wing agitation and protest beginning in the late war years and extending forward to the 1940s and 1950s. The extent to which any of these risks actually threatened colonial or post-Confederation Canada’s well-being remains an open question. Nonetheless, it is indisputably clear that the state, or at least senior bureaucrats and political leaders, thought that identifying these risks served useful political or partisan purposes. The book’s most prominent theme is the state’s disproportionate concern with left-wing organization and the threat it seemingly represented. Triggered late in the First World War, this concern with the left continued onward through the post-Second World War era. The second theme is that of race, ethnicity, and gender, and their influence in how state security was constructed, understood, and applied. Viewed from a contemporary perspective, the privileged position of White, typically protestant, middle-class men to make decisions about who represented a threat and how that threat ought to be countered, is patently obvious. Finally, the collection’s third theme is that of the legacy of these activities, in terms of the evolving governmental culture concerning openness and access to information, counterbalanced by the long-term necessities of protecting state-defined interests and those engaged in surveillance operations. 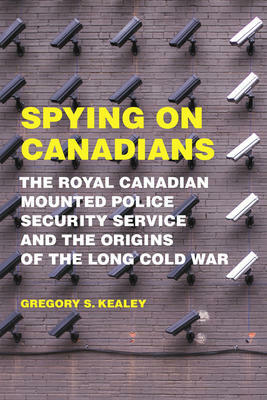 Coming to this topic through his research as a labor historian, it is unsurprising that Kealey’s attention was initially drawn to the state’s surveillance of left-wing and workers’ organizations. It is difficult to exaggerate the dominion government’s obsessive concern with any and all left-wing activism. Consequently, protestant church leaders advocating social reform were lumped together with democratic socialists, union organizers, members of communist front organizations, leaders of the Communist Party, and elected Labour candidates. At the same time, Kealey notes that while fascist leader Adrien Arcand was also under surveillance, the evidence betrayed less angst for the leaders of Canada’s domestic spy service than that evoked by left-wing reformers attempting to better the lives of immigrants and workers. While the theme of race and ethnicity is also present, Kealey’s evolving interpretation charts increasing unease with the racial component of this history. Initially arguing that suppressing the left was the most important factor at play, the dynamics of domestic spying led by privileged, White, males, with military backgrounds, raised insistent questions. As much as their prejudices might be presented as arguments about the sanctity of empire or state security, the fact that potential enemies of the state were Irish, Sikh, or laborers from non-preferred European nations is impossible to ignore. Recognizing on numerous occasions that similar racial and class divisions between the RCMP leadership and those charged with the task of gathering intelligence were also marked by class and race, Kealey does not quite argue that White male privilege also drove this process, but by the collection’s most recent article (2009), he (along with fellow authors Andrew Parnaby and Kirk Niergarth), comes tantalizingly close to such a conclusion. There is a great deal here worthy of serious consideration and its importance extends well beyond historical relevance and to narrow concerns about access to our nation’s documentary heritage. Indeed, Kealey’s articles – and this collection – speak to how easy it was (and still is) to brand segments of Canadian society as “dangerous”, “threatening”, or even “unCanadian” for reasons that owed more to constructed identities and race-based assertions about “fitting in” and conformity, than to demonstrate evidence of a genuine threat. As such, Kealey’s is not merely a well-wrought lesson about our past but a timely reminder that historical knowledge is also a way of thinking and acting in the present. 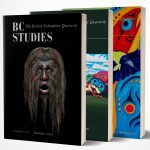 Toronto: University of Toronto Press, 2017. 276 pp. $29.95 paper.